Day one of the Road Trip Washington Wine started off with a visit to one of the top wineries in Washington State, Mark Ryan Winery. Mark Ryan hosted myself and four other road trippers at his tasting room in Woodinville, half an hour outside Seattle. Mark is a guy’s guy. I don’t know if the first hint into his personality was the Triumph motorcycle in the middle of the tasting room. Maybe it was the rock posters of Pink Floyd, Supersuckers and (like a good Seattle guy) Brad. Or is it that upon arriving to his winery, his priority was to turn on the music followed by popping a cork of Bollinger Rose. That’s it! Mark is a big guy, but in no way intimidating. He’s got the personality of your best friend. Rock & roll and pink Champagne, that’s Mark Ryan in a nutshell. 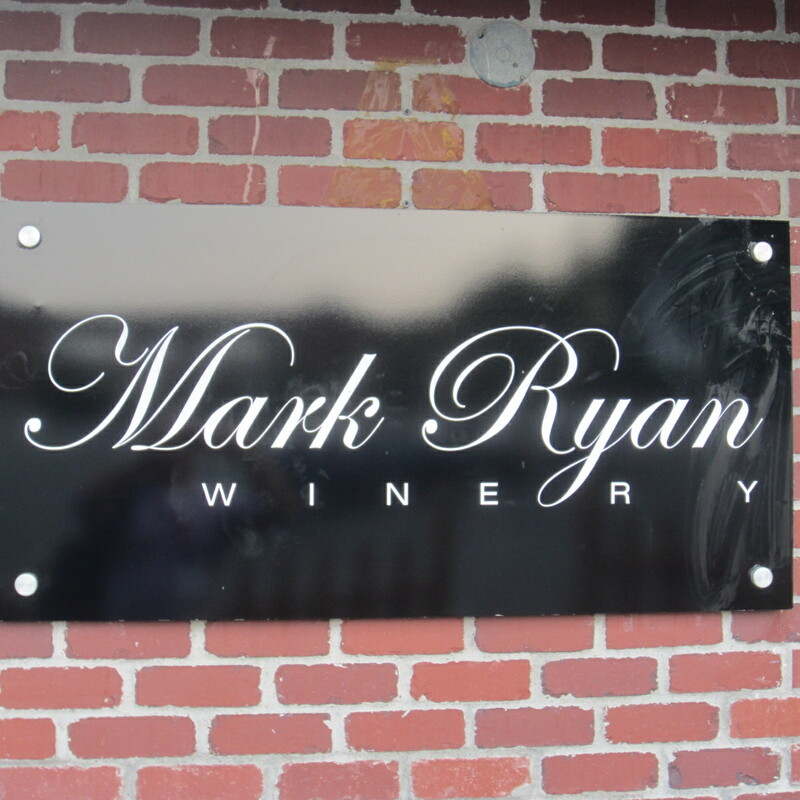 I won’t bore you with Mark Ryan Winery accolades such as Seattle’s Magazine 2011 winemaker of the year. I just want to focus on how his wines take on a life of their owner. Mark’s wines match his personality. 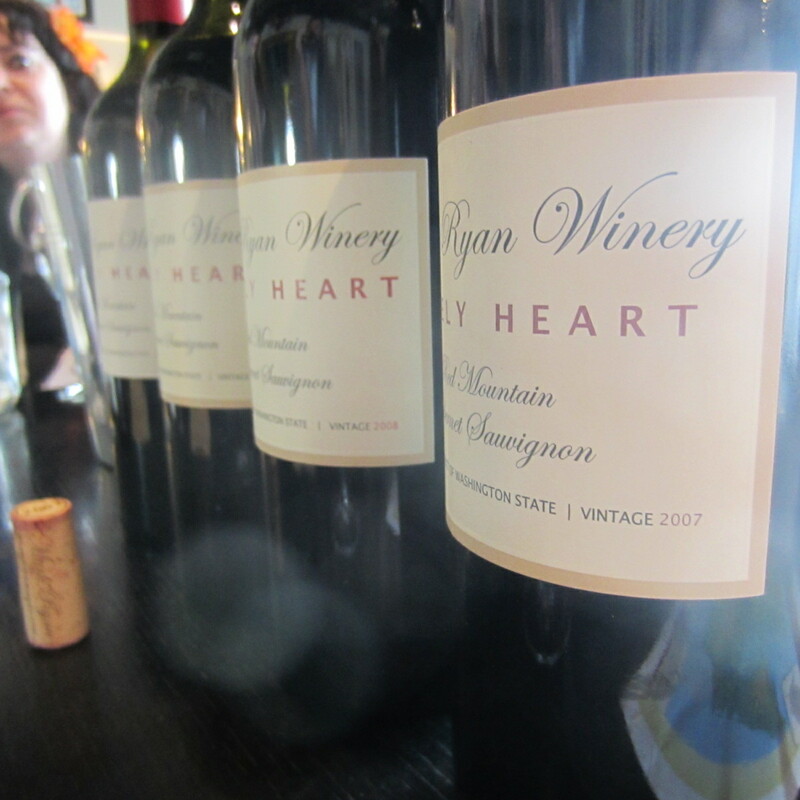 We tasted a vertical of his Cabernet Sauvignon Lonely Heart Reserve from Red Mountain ranging from 2007-2010. These wines have his stature, big. They have his personality, rich and generous. But best of all, they rocked!! There could not have been a better way to taste his wines than surrounded by posters of Jay Z and Beatles while listening to Bon Jovi. The wines had the fruit and juiciness similar to the wines from Napa. But what made them stand out was the silky tannins and dusty deliciousness. I can’t say enough about terroir. 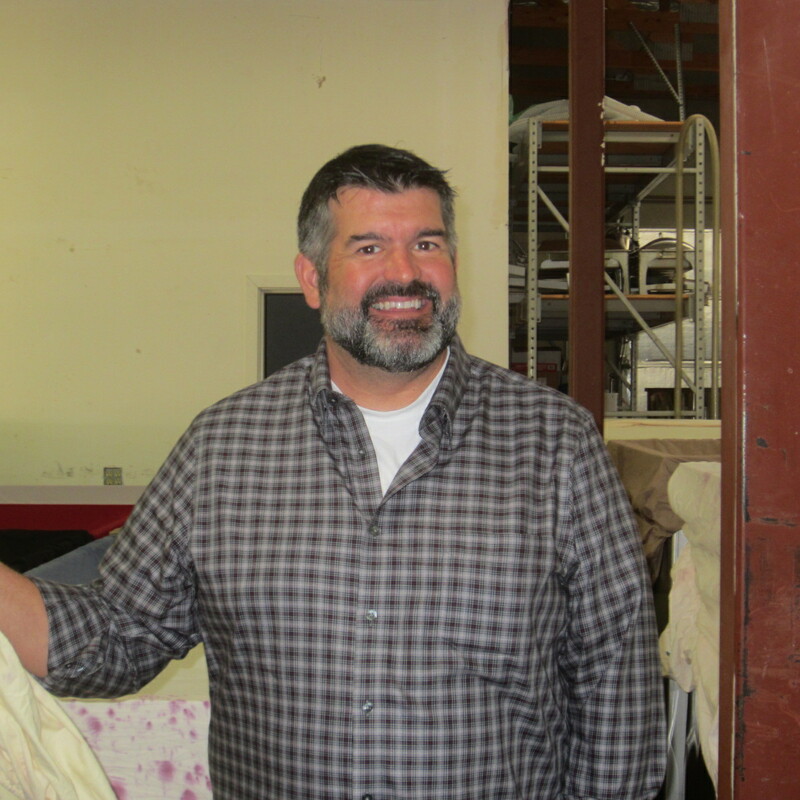 These wines are the embodiment of Red Mountain terroir. The wines varied slightly from vintage to vintage. The warmer vintages such as 2007 and 2009 had ripe juicy black fruits. 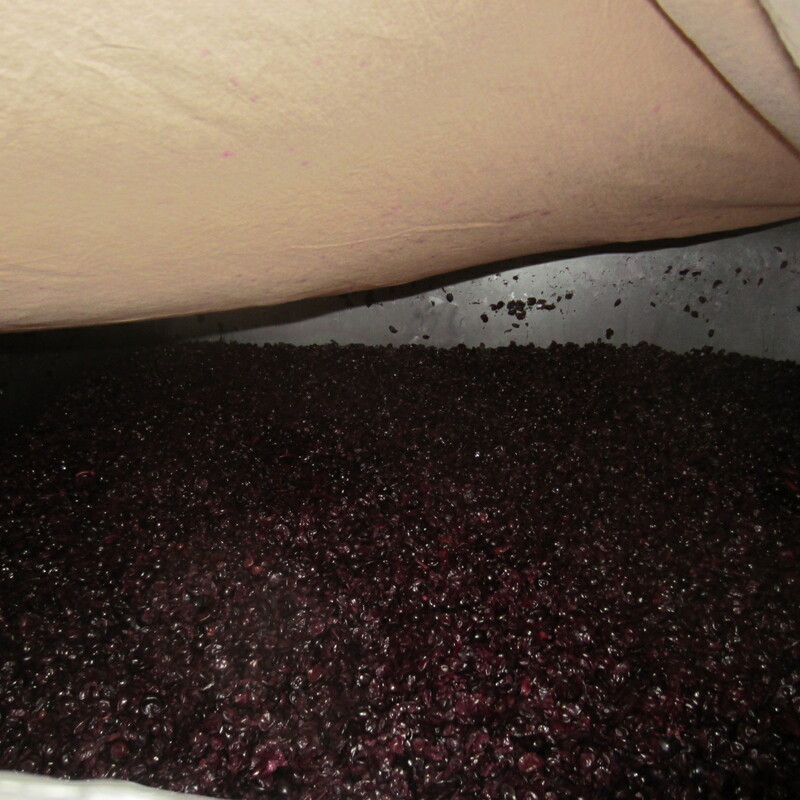 The cooler 2010 vintage was still tight with more red fruit. All across the board they rocked to the song of minerality. These were rock-anthem wines. I look forward to their next release party and world tour. Thanks Mark…you rock! The fruit comes from two different Red Mountain Vineyards, Klipsun and Ciel du Cheval. The first release of this wine was in 2007. Ph levels for these wines is pretty high at about 3.9. That being said, the natural acidity gives them the structure and back bone. 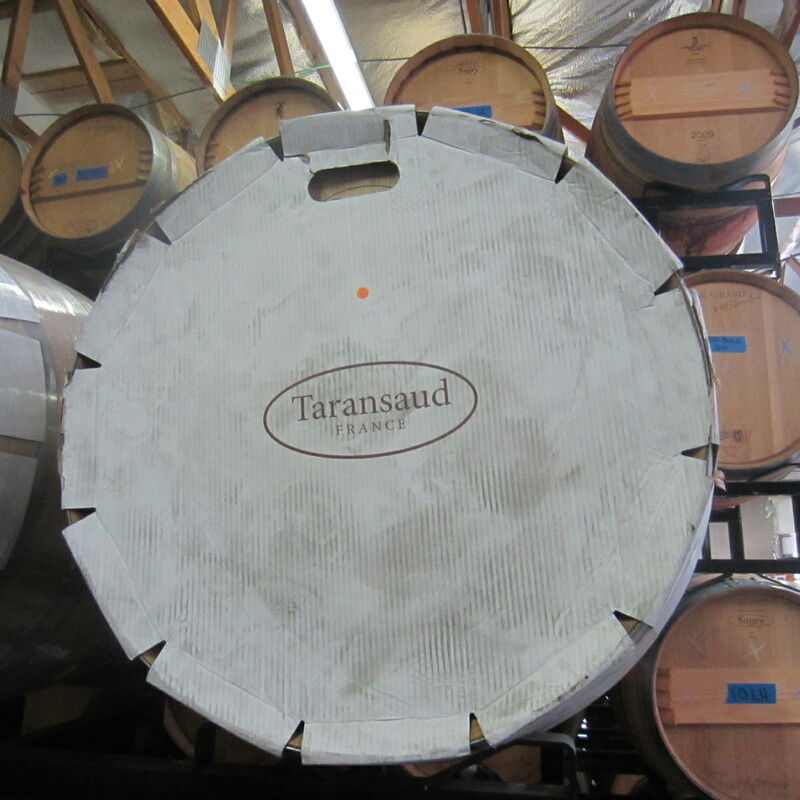 Mark uses 100% new French Taransaud barrels and blends up to 5% Petit Verdot. The wines retail at about $80. 2007 – Ruby color with magenta highlights. The fruit aromas are of blue fruits and blackberry with a hint of black olive. It sits plush on the palate with flavors of violets, mocha backed by structured tannins. 2008 – Darker purple color. Aromas of plums, prunes and black currants. The 2008 has a hint of green herb, mint-like but that same dusty mocha dustiness. It is definitely tighter than the 2007 and it shows excellent minerality. 2009 – The color is a dark ruby. The aromas are of black plum, black olive and cassis. Although the wine is a little tight the tannins are rich. The wine also had a mocha character from the wood, but it was still lean and mean with acidity and terroir. 2010 –This wine was ruby red with a little less concentration. The aromatics were of red fruits such as red plum, cherry and cassis. Again that unifying element of mocha dust was prevalent with hints of tobacco leaf. On the finish it was balanced with fresh acidity. Here is this years Syrah starting to bubble up. 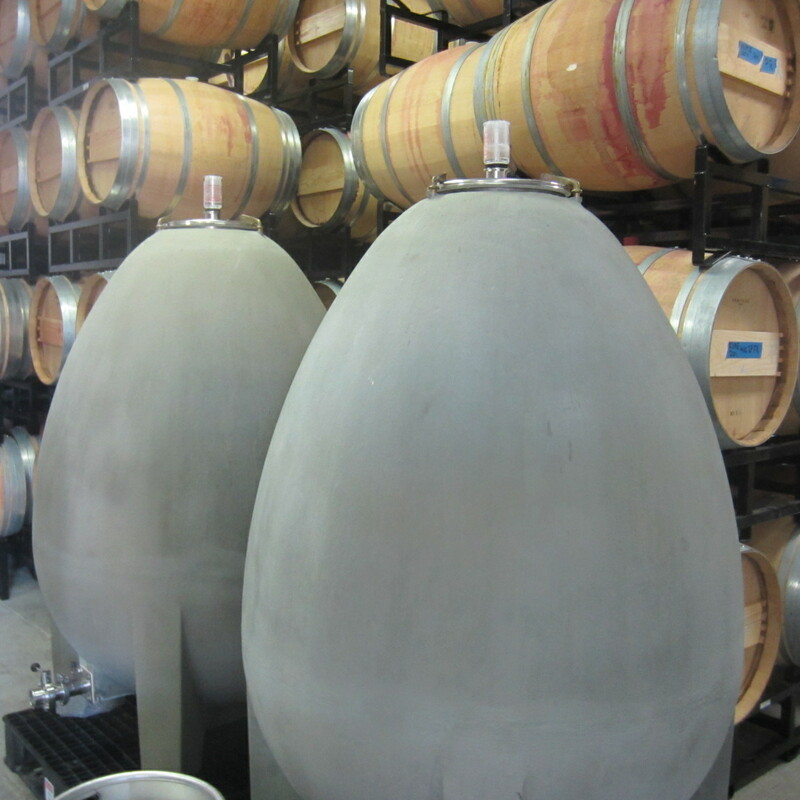 Concrete eggs for his new Viognier project. Can there, Will there ever be World-Class Dining in San Diego? So much great wine in WA and I love Walla Walla. Can’t wait to hear what your favorite is. Oh yes, Walla Walla makes some amazing wines. I will give my favorites over the upcoming months. Cheers!